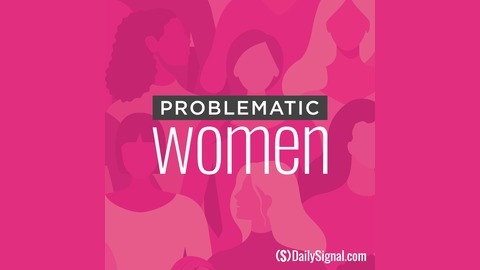 A Daily Signal podcast that challenges the left's narrative that all women must be liberal, pink-hat wearing, Planned Parenthood supporters. Instead we celebrate and empower right-minded women through thoughtful, long-form interviews and sharp-witted commentary on issues from pop culture to politics. Is Sen. Elizabeth Warren’s call for free universal college and student loan forgiveness really possible? 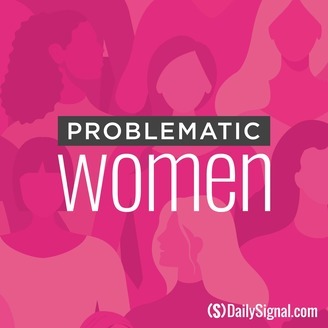 Inez Stepman, senior policy analyst at the Independent Women’s Forum, joins for this week’s edition of “Problematic Women” to discuss. Plus, Glamour reports a bride asks her bridesmaid to get an abortion to make sure she fits into her dress, and woke Netflix says the term chick-flicks should only be used to describe movies with actual chickens. And finally, Abby Johnson, whose transformation from Planned Parenthood clinic director to pro-life activist was featured in the hit film, “Unplanned,” is crowned our Problematic Woman of the week. Listen in the podcast below.